Focusing on the collaborative and creative processes that go into productions, The Creative Spirit: An Introduction to Theatre introduces students to the theatre through the plays themselves and the people who write them, create them, and act in them. The book provides a rich context for each play with a discussion of the playwright's other works, sources for the play, timelines that present historical and cultural background, and a section on a particular production of the play to give students a sense of the theatre industry at close hand. 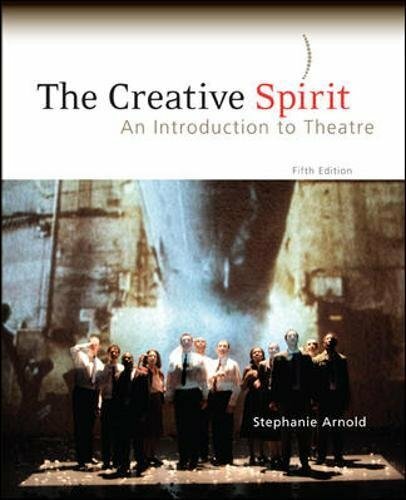 The Creative Spirit includes complete scripts of five plays: August Wilson's Joe Turner's Come and Gone, Wakako Yamauchi's And the Soul Shall Dance, Tony Kushner's Angels in America, Milcha Sanchez-Scott's Dog Lady, and Nilo Cruz's Anna in the Tropics. View More In Film & Video Art.